BrightonSEO usually ends with a ‘Lightning Talks’ session but this year Kelvin switched up the format and introduced a ‘Greatest Tips Session’. The idea: every speaker from the day shares their top actionable SEO tip that attendees can start using when back in the office on Monday morning. We particularly liked the idea because it meant a chance to catch tips from speakers which we’d missed on the day. We came away with 21 fantastic tips which we couldn’t help but share with those who couldn’t make it on Friday. Keep reading to find out more about each tip. A great tip for anyone struggling with content ideas. It pays to publish unique content and this is a way to get your hands on a unique data source to set your content apart fromt he rest. Another tip for content ideas – instead of combining data sources, combine different ideas to create a new idea. Make connections between ideas for a fresh perspective on a subject. Matt decided to give three quick, useful tips. Sticking with the SEO tip I think this is something that is only going to become more important. There are often opportunities to partner with sites that rank around and even above you to increase your visibility. It’s off-site SEO but not as we know it! A quick tip from Gerry for those who like to get stuck in with Excel. Another content focused tip. It’s more important than ever to make sure that your content stands head and shoulders above the competition. Becoming a well known voice in your industry is a great way to become an authoritative brand. This tip is the short version of the talk that Lukasz gave at April’s BrightonSEO. It’s ideal if you’re taking on a new client or starting at a new company and want to quickly make a good impression. I gave up replying to bad outreach attempts a long time ago because I found that it didn’t have any impact on follow ups; marketers will just keep trying. I love the idea that, if done well, follow up emails can have a better success rate than initial outreach attempts. Facebook Custom Audiences is one of my favourite discoveries this year. As well as allowing you to retarget very specific customer segments, the ‘lookalike audience’ feature will give you an audience that is just like your existing customers. What a fantastic team building idea. Step into your co-workers’ shoes and find out what keeps them up at night. I can see this tip being useful for developing new content or even products for your site. If users are arriving at your site expecting to do something then they can’t then that is a gap that you probably want to fill. If your content results are unpredictable then this is a good way to test before wasting time and resources. It’s a relatively low expense to make sure you’re not wasting time on bad ideas. An important reminder not to forget the basics. If a page is not being crawled by Google then any time spent optimising it is time wasted. Ian’s talk was one of my favourites. His tip comes as a warning to those who see content & outreach links as ‘free’ when the cost can soon add up once you start considering time spent on acquisition. With this in mind, outreach that only gains a couple of links is an unsustainable practice. Based on the response from the audience I think this is a tip that a lot of people have never considered. I can see this being invaluable for large e-commerce sites that sell a diverse range of products. Make sure that Google understands the purpose of each category on your site. Matthew gave the best talk of the day and his tip is something that UK SEOs need to pay attention to. So far the Pigeon update has only affected the US but it’s likely to come to the UK soon. Make sure you learn from what’s happened in the US and you should see an uplift in local search. One way you can prepare for Pigeon is to follow David’s advice and make sure that you have consistent NAP information across the web. This is especially important if you’ve recently rebranded or changed address – it’s likely that there are a lot of old listings that may result in duplicate listings in Google. This is a tip we’ve used for competitors but I’ve not thought to do it for webmaster guidelines! I can’t think of a better way to make sure you find out about changes before everyone else. Almost a follow on from Aleyda’s tip and also a common theme of the day – it pays to know what Google is up to. Predict important developments and you can be the first to reap the benefits. The final content tip of the day. Instead of using other people’s data, commision your own! This is yet another tactic that will set your content apart from the competition and give you a better return on investment. This is a common problem on our Google Analytics courses when companies have never removed parameters and so find it very hard to effectively report on individual pages. It’s a relatively easy fix that will make your life easier in future. Search engine optimisation is something that is often spoken of, but it isn’t often that people truly understand it. If you know what you’re doing, SEO can change the way you do business. If you don’t, however, what you don’t know could sink you. 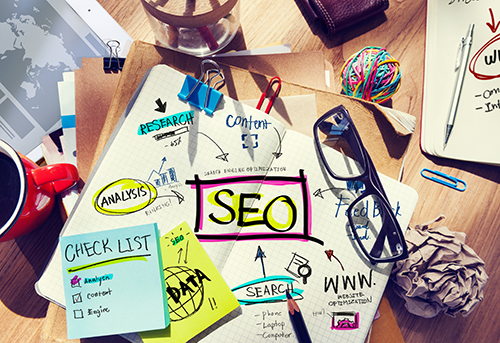 By now, most people realize that SEO is a very important part of business. An Internet presence is vital if you want to make it in today’s world, so search engine optimisation is something that just about everyone needs to know something about. If you run a business, it’s even more important that you understand how to optimize your website or blog. Search engine optimisation isn’t just about adding keywords to your website content and blog posts; there’s quite a bit more to it, in fact. If you really want to be successful and reach the front page of the search rankings, there are a few things to keep in mind. Most business owners are aware that they need to have keywords, but they don’t know just how to find the best ones. Since the entire SEO campaign depends on selecting the right keywords, this is a very important step and one that cannot be taken lightly. Don’t just guess at your keywords, take the time to research them thoroughly. You can use the Google Keyword Tool to help find good keywords with plenty of searches. Simply type your keyword into the search box and let Google give you suggestions. You want something that will bring in plenty of searches each month. Try using several keywords with lower searches if you can’t find one with less competition. Then click to Google and search for the keyword phrase with quotation marks on either end to see just how many other websites are optimized for the exact same phrase. You want lots of searches and very few competitors. At first glance, it might seem like the more often you use the keywords in your content, the better. However, thanks to scammers who used a technique called “keyword stuffing,” that’s not a good idea. You can actually end up penalized for using too many keywords in one piece of content. The key here is to be natural. Don’t stuff the page full of specific words; instead let the information flow freely and insert the keyword phrases wherever they actually fit. This will result in much better content that search engines will love. Photos really add a lot to a blog post, but they can’t help your SEO unless you make full use of titles and ALT tags. Using your keywords in these areas will give your page a nice boost. It doesn’t hurt to name your photo something SEO friendly either. Instead of labelling it PIC1566874.jpg, go with something like logo-design.jpg. This is one area that is more important now than every before. Good content has always done well with the search engines, but since Google changed the rules in early 2011, it’s even more important. Regularly updated pages with quality content are treated very well by the search engines, so it makes sense that blogs, rather than fixed sites with static content, are doing very well these days. While your content should contain keywords, keep in mind that the most important thing is to offer quality information. It should be written more for human eyes than for search engine spiders. Getting links from other websites is vital in boosting search engine rankings, but what many people don’t know is that deep linking is also very important. Deep linking means linking to other pages within the same website. For example, you might have a site on sound equipment and on your article about Sony stereos, you link to your page on choosing the right speakers. This type of linking should be done on a regular basis and goes hand in hand with providing regular content. Whenever you write a blog post, check back to see if there’s anything relevant to link it to. Chances are, if you’re online, you’ve heard of backlinking. This is the practice of getting links from other websites. When you use the right anchor text, this can be very helpful in boosting your search engine rankings. However, it is not something you want to overdo. Getting regular links from various locations looks a lot more natural than one article directory linking fifty times to the same page. Try to spread your backlinks out, a handful here, a few there, and keep them trickling in at a steady rate to ensure the best results. If you have 10,000 links come in one day and then nothing for the next four months, the search engines will know something is up and will rank you accordingly. SEO is a combination of common sense along with some careful tricks. As long as you are putting out excellent content on a regular basis with keywords naturally mixed in, you can expect to see an improvement in your rankings. As the old saying goes, if you fail to plan, you plan to fail. Developing a web design without a plan is like constructing a building without blueprints. Things end up in the wrong place, features are overlooked, and the situation is ripe for mis-communication between website developer and client. Planning your website ahead of time will give it clear direction as well as prevent missed deadlines and backtracking. If you are a web developer working with clients, then this guide will help both of you to plan properly. If you are a business owner or employee of an organisation, then this guide will help lay the ground work for your website. Set your purpose and goals. What is the purpose of your website? To rally support behind a cause? Is it to gain publicity for your business? To sell your inventory? It’s important to identify your website’s purpose, as well as your target audience. You should also define your goals. How many visitors do you expect per month? How many do you expect will sign up for your newsletter? How much in sales do you expect to make? Set measurable, specific goals for your website that are in line with your marketing goals. An analytics tool like Google Analytics will allow you to monitor your website’s performance over time. Create a budget. Whether you’re an established, mid-sized organisation or a fledgling start-up, you should always set a budget for your website. This will probably include funds for web design, programming, and hosting (though other expenses may apply). Research the market by shopping around and consulting with professionals. Don’t sell yourself short by comparing prices alone. What you save in money you may later pay for with a lack luster site and lots of headaches. It’s better to choose team members based on experience, insightfulness, references, and examples of work. Your content strategy is the way that you plan to present your content over time. For instance, you may want to publish two blog posts a month, and put out a free quarterly report for your subscribers to download four times a year. Since content is such a vital aspect of a website, bring in help if you need it. Hire a copywriter who is experienced with writing for websites, and invest in some professional looking photos of your storefront and employees. Structure your website. Decide what pages you’ll be using and what features will be on each one. Most websites have an About and Contact page, but the pages you use should meet your business’ needs. Create a mock-up. A page mock-up, also know as a wireframe, is essentially the outline of your website. Usually created in Photoshops, you don’t have to put too much detail into your mock-up. Use placeholder text to fill pages, and don’t worry about details. This is just to give everyone an idea of what the website will look like. Make sure your site fits the screen. Use responsive design (or an equally effective approach) to make your website one that adapts to all screen sizes i.e. iPhone, iPads, etc. Keep your website light in image reproduction so that it loads quickly. Make your logo and tag line prominent on the page. Keep styles and colours consistent across the website. Make notes about what to include in the style sheet as you design, as you want to keep style and function separate. This is important, not only to comply with web standards, but to make it easier to change something in the future if you need to. You should also design with the future in mind. For instance, your website may only have a few blog posts now, but what about when you have two hundred? Test it out. Testing is important for getting out bugs out and catching details that you might have missed initially. Make sure your website shows up the way you want it to in all browsers, including Chrome, Firefox, Internet Explorer, and mobile web browsers like Safari and Opera Mini. Test it on your cell phone, your tablet, and your colleague’s cell phones and tablets too. You want your site to have a consistent appearance no matter what screen it shows up on. Make sure all of the links work, that the images are properly sized, and that you’ve replaced all of the placeholders with actual content. See to it that all of the forms and other input fields are working. Maintain your site. Once your site is launched, the work isn’t over. A website is an ongoing entity that continuously represents your company, so maintenance is very important. Monitor your analytics software to see how your website is performing with the public. Keep an eye on metrics like your number of unique visitors, bounce rate, and which pages are most popular on your website. You might find that certain metrics are more useful to you than others, but that is information you’ll find out over time.